Noch nie etwas von Völkerrecht gehört, denn die EU Deppen Bande, mischt sich erneut in die Inneren Angelegenheiten fremder Staaten ein. Für die Albanische Mafia, den Drogen Handel, inklusive den MEK Terroristen Zentralen in Albanien, schrieb der EU Delegationsleiter Knut Fleckenstein einen vollkommen gefälschten Bericht erneut. Kaum zuglauben, wie dreist die Ratte Knut Fleckenstein erneut vollkommen gefälschte Berichte schreibt. 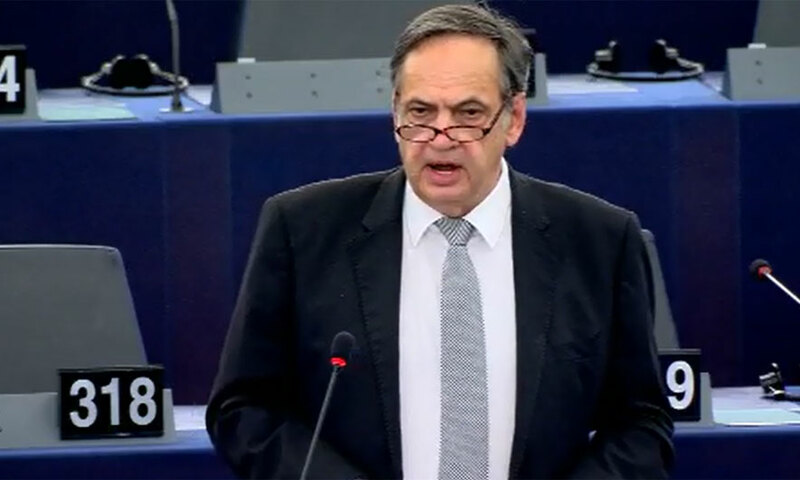 “I will not endorse the agreement reached yesterday between prime ministers Alexis Tsipras and Zoran Zaev on the issue of the name, because this agreement is damaging for us”. This was declared today by the president of FYROM, Gjorgje Ivanov in a public address.Ivanov said that the process of negotiations has not been a transparent one and the government could not ensure the necessary consensus. Ivanov said that in the meeting that he had with PM Zaev and Foreign minister Nikola Dimitrov, he has told them that this agreement was a personal agreement reached between them. While world leaders greet the agreement between Macedonia and Greece over Macedonia’s name, both governments are facing bitter criticism from their political opponents back home. While leaders in Brussels, Washington and the region have showered praise on the agreement between neighbouring Macedonia and Greece over Macedonia’s name, the deal has met a cold response from opposition parties back home. The deal, announced by the leftist governments in Athens and Skopje on Tuesday, envisages Macedonia changing its name to the Republic of North Macedonia, subject to approval in a referendum in Macedonia that could be held later this year. The EU’s enlargement commissioner, Johannes Hahn, and the EU foreign policy chief, Federica Mogherini, enthusiastically welcomed the breakthrough, which is expected to unlock Skopje’s stalled EU and NATO membership bids. “We wholeheartedly congratulate [Greek and Macedonian] Prime Ministers Alexis Tsipras and Zoran Zaev for their determination and leadership in reaching this historic agreement between their countries, which contributes to the transformation of the entire region of South-East Europe,” Hahn and Mogherini said in a joint statement. NATO Secretary General Jens Stoltenberg “warmly” welcomed the news of an end to the long-running Balkan dispute. “I now call on both countries to finalise the agreement reached by the two leaders. This will set Skopje on its path to NATO membership. And it will help to consolidate peace and stability across the wider Western Balkans,” Stoltenberg said. Macedonia’s prime minister is to submit his proposed government reshuffle to parliament today in a bid to increase his slim majority by adding two small ethnic Albanian parties to his ruling coalition. Skopje’s Criminal Court on Monday acquitted Prime Minister Zoran Zaev of soliciting bribes from a businessman in his home town of Strumica – a case in which Zaev claimed he was politically framed by the previous government. A Macedonian court has ruled that Prime Minister Zoran Zaev was not guilty of having solicited a bribe of 200,000 euros to help a local businessman buy land in his home town of Strumica. “I am happy about the acquittal and that I finally proved my innocence and received justice,” Zaev said in front of the court after the ruling was issued. The charges were raised in 2015 amid a deep political crisis in Macedonia, when Zaev was an opposition leader and mayor of Strumica. He was charged shortly after he started releasing batches of illegally wiretapped conversations that pointed to widespread corruption in the previous government of Nikola Gruevski. The compromising tapes sparked a political crisis and eventually led to the fall of Gruevski’s government last year. Initially, Zaev was accused of taking a 200,000 euros bribe in order to help privatise the public land that the businessman wanted to purchase. However, the prosecution later changed its charges from taking to merely soliciting bribes – a milder offence. Zaev insisted that Gruevski’s government had framed him, to discredit both him and his allegations of widespread corruption. The case was widely exploited in public, including the use of police video surveillance footage, that Gruevski’s VMRO DPMNE party insisted offered proof of Zaev’s wrongdoing. The footage depicted Zaev’s conversation with the businessman over certain financial transactions. But Zaev insisted that the leaked video was cut several times to make it look as if he was soliciting bribery, while he insisted he was only asking for donations to build a church in his home town. The court this year played the entire uncut video at one of its sessions. However, the public was excluded from this session. Zaev on Monday said that he would demand that the court permit the publication of the entire video, and said that he would publish it himself if he receives it from the authorities. NATO and the United States, which, together, claim to be fighting some sort of amorphous “global war on terrorism,” have enabled a terrorist group to establish bases in two NATO member states – France and Albania – and one NATO protectorate, Kosovo. After evacuating forces of the anti-Iranian terrorist group Mojahedin-e-Khalq from their former bases in Iraq, the United States and NATO facilitated the group’s establishment of a well-guarded military base in Manez, Albania, near Tirana. In addition to hosting MEK members, NATO has convinced Albania to accept members of the Islamic State of Iraq and the Levant (ISIL), who surrendered to Western special forces in Syria and Iraq……. Former Casino Assistant Manager, PhD fraudster and current EU Enlargement Commissioner Johannes Hahn has a message for SDS leader Zoran Zaev: “No early elections, this is certainly not good, instead do what needs to be done in Parliament with the opposition”. This is a statement from one criminal to another, the only thing missing from Hahn was “or I will take care of business“. Hahn strongly suggested to Zaev in today’s climate his chances of winning elections are zero, considering the massive Referendum fiasco where huge majority of the Macedonian population strongly opposed Zaev (the exception being people who did the ballot stuffing). Instead, Hahn encouraged Zaev to seek ways to ‘convince’ 9-10 members of the opposition to switch sides. MINA finds, the 250,000 euros that were initially offered to MPs for a vote, have now gone up at least ten fold per MP. In fact, fake patriot and DPNE MP Ilija Dimovski pretty much confessed this in a FB post where he stated he will not vote for the agreement, adding rather nonchalantly the cash offered to MPs is now in the millions not the measly 250k as local media reported. Additional $50m at this point is certainly not a problem for Uncle Sam’s printing machine or for London. Columbia professor and Macedonian patriot Gorazd Rosoklija slammed Hahn’s criminal proposal in a FB post. “What sort of offer except a criminal one can you expect from a person who stole someone else’s Dissertation at the University of Vienna and then wrongly interpreted the results from the stolen work“. 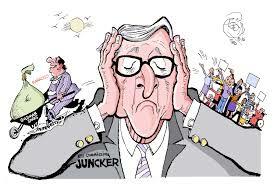 Rosoklija’s statement pretty much sums up the European Union and the imbecile that represents it, Johannes Hahn.